After the excesses and stresses of Christmas, a relaxing January spa break might be just the perfect tonic. Jordan may not immediately spring to mind when considering a wellness destination, but as Clare from our India and Arabia team recently discovered the healing waters of the Dead Sea and its spa resorts put up there with some of the best. After a hectic week in Jordan taking in history, culture and experiencing a night’s camping in the breathtaking Wadi Rum, all I wanted to do was relax and there is no better place to do that than at the Dead Sea. The lowest place on dry land is rich in minerals, with the sea itself containing ten times the amount of salt as normal seawater – so the legend is true and you can actually float in it! It is almost quite oily-feeling, definitely not like normal seawater. The thick mud is also mineral-rich, perfect for slathering on for 20 minutes (as we were instructed to do) and then rinsing off whilst having a float. Just don’t put your face under water or you will end up with extremely painful eyes! No wonder that Jordan is packed full of spas using the country’s very own products. We were staying at the Kempinski Ishtar, which boasts the largest spa in the Middle East and is run by Anantara. We had a Dead Sea salt scrub and aromatic massage, an hour and forty-five minutes of pure bliss! Another hotel spa well worth a visit is the Six Senses spa at the Evason Ma’in. The spa uses the Six Senses S.L.O.W. philosophy – standing for Sustainable, Local, Organic and Wholesome – using Jordanian olive oil and crushed olive stones in addition to Dead Sea products. 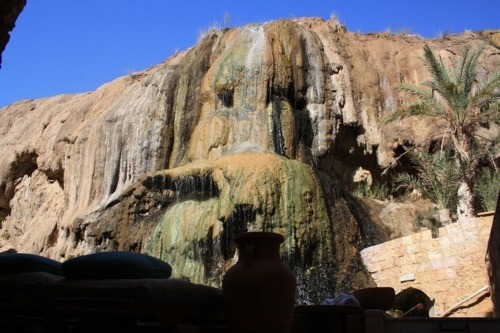 The spa’s warm pool (reaching around 40 degrees Celsius in summer and 36 in winter) is fed by natural springs, flowing from the dramatic rocks above the spa. One of the highlights of this spa is the natural cave sauna, where you can just sit back in the water, relax and have an utterly unique experience. Relaxing below sea level is a great way to have a moment of respite following an action packed itinerary in Jordan, or as a wellness break destination in itself. 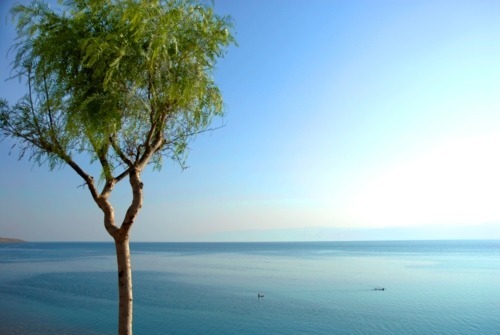 Even if you go during months when the weather is a little cooler elsewhere, the temperature at the Dead Sea tends to be about 10 degrees celsius warmer than elsewhere in Jordan – perfect for escaping the winter gloom in the UK.